Get your group on the court and in the game by participating in one of our exclusive on-court experiences. 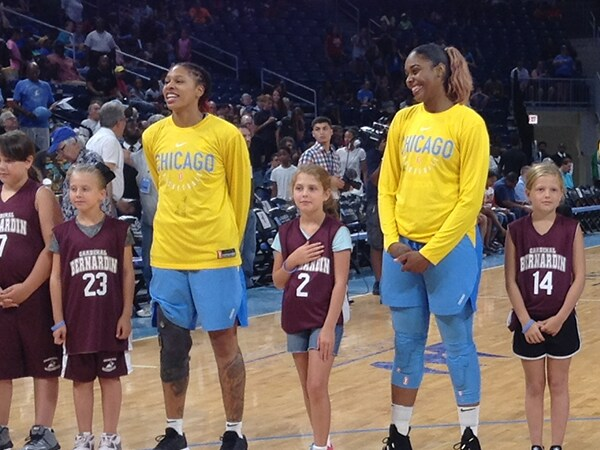 Line up on the court between the Sky players during the singing of the National Anthem. Each of the 12 participants will receive a Sky t-shirt with their experience. 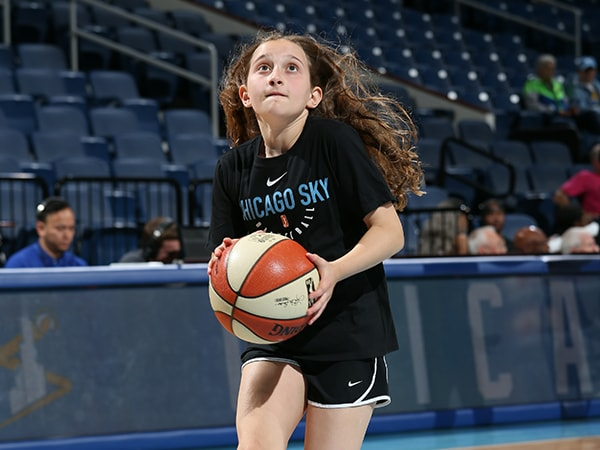 Get the full game-day experience as your child rebounds for the team during pre-game, sets up the benches, and sits behind the sky during the game in this unbelievable experience. Line up your group to high five the team as they take the court for warm-ups. 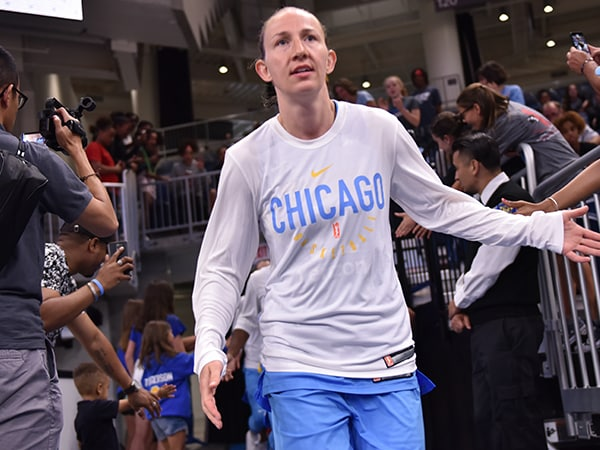 Each of the 10 on-court participants will also receive a Sky t-shirt as they cheer on the team. Join the pre-game talk as one of the two co-captains for the game. 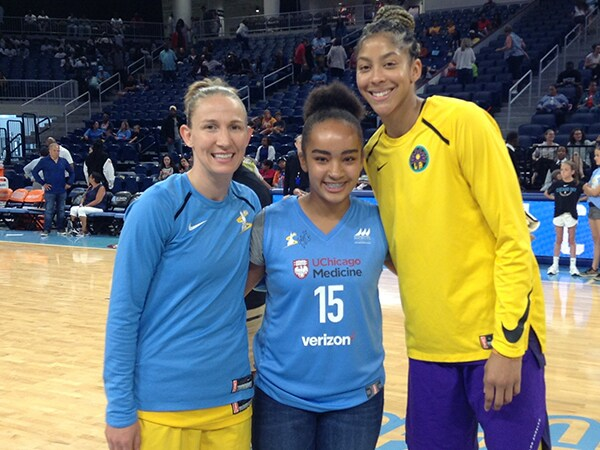 Receive a Sky t-shirt as you meet the teams captains and referees at center court during warm-ups. 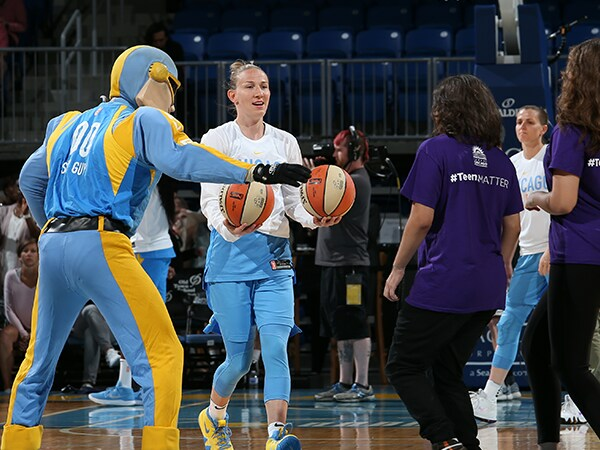 Head to center court and receive a WNBA ball from one of the Sky starters during player introductions. Each of the 10 group members will receive a Sky t-shirt along with their once-in-a-lifetime souvenir. 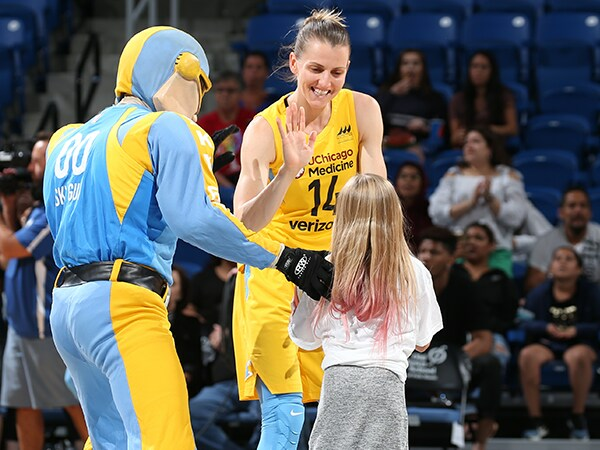 Create a memory of a lifetime as one lucky fan steps on the court and delivers the official game ball to the referee to start the game.